We keep in touch with all local haulers to make sure our prices are competitive. Found a lower price? Call us and we will do our absolute best to beat or match it. When looking for a dumpster rental in Colorado Springs give us a shot. 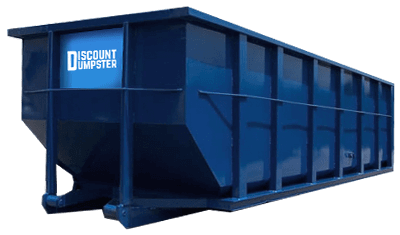 Whether you are a first time renter looking to knock out the long awaited project; or a contractor looking for multiple pulls, Discount Dumpster may help. Understand the different container sizes offered. Match up the volume with the project at hand. Call Discount Dumpster to order your rental. Common uses for a roll off include, but not limited to, yard clean up, residential home remodel, large construction projects, removal of deck, and much more. 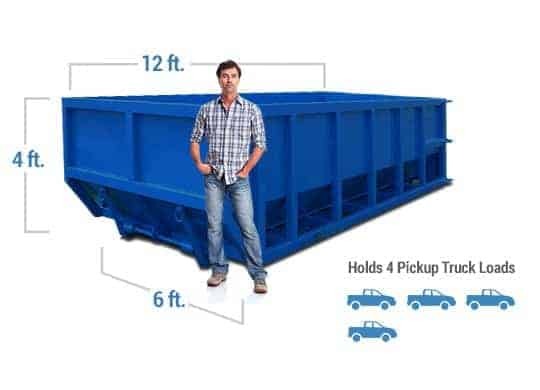 Giving you the ability to dispose of all your trash in one place is what a roll off container is for. 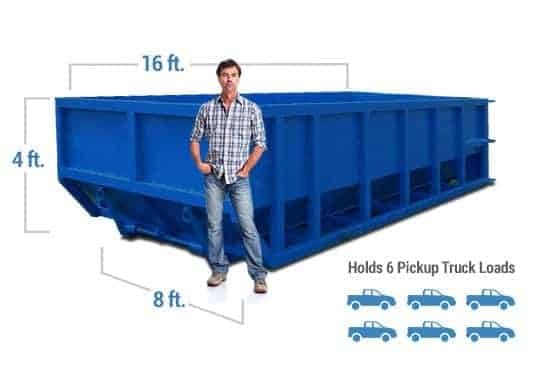 Ranging from 10 to 30 cubic yards, all projects are included. With cheap prices on all sizes you will feel confident you made the right choice. Offering service within 24-48 hour notice. When looking to rent a dumpster be sure to call 1 to 2 days in advance. This will give us the opportunity to solidify your position on the delivery schedule. The dumpster industry has many factors that go into each delivery. That means that it is very difficult to give an exact time window of delivery. However we will get it to you on the day requested. Things that go into the schedule of a dumpster delivery include traffic, dump lines, changes to the schedule with cancelled orders. Something that we run into are overfilled dumpsters. There is a fill line on every dumpster that all junk must stay below. It is a liability to our drivers and others on the road if anything were to fly out. Please review all guidelines to be sure you are following all recommendations.